Does anyone have experience having lucite displays signed? If so, what type of ink is best? Sharpie or something else? I have a Skylab lucite that once belonged to Pete Conrad and am debating about possibly having it signed by another Skylab astronaut. 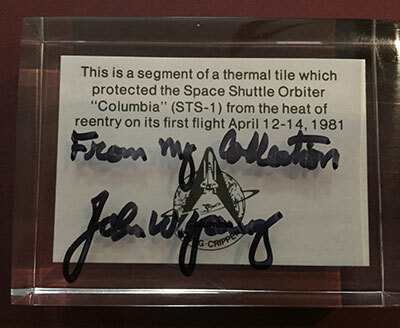 I’m concerned about how the ink might hold up and also whether or not it would lose its appeal if it was owned by one astronaut but signed by another. I had David Scott and Al Worden sign my LRV lucite in silver paint pen because it seemed the least likely to degrade over time. However, I'm very careful with it because it would not surprise me at all if the paint doesn't adhere as well as it does on, for example, paper. You could avoid any chance of marring the original lucite by fabricating a modular (removable) stand for the acrylic display. You could then have the mount signed however you desire. I can attest to Sharpie pens being very fragile on Lucite. 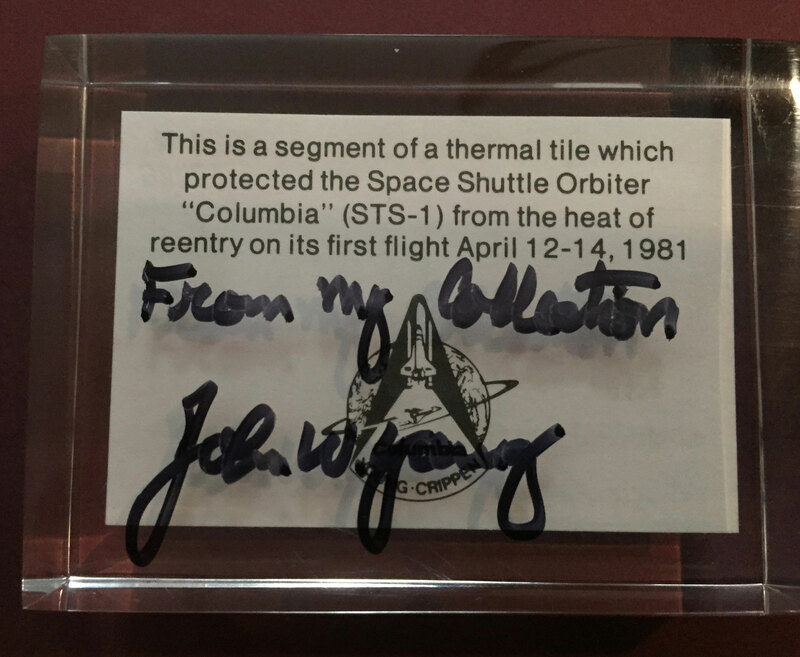 I have John Young's STS-1 flown heat shield award and he signed the back but just from sitting in my display case and the minor movement it gets it still has signs of wear.